This banner has a really great design, it's basically split into two, with one saying Woo Hoo in metallic gold and there are stars to go on either side of this writing too. 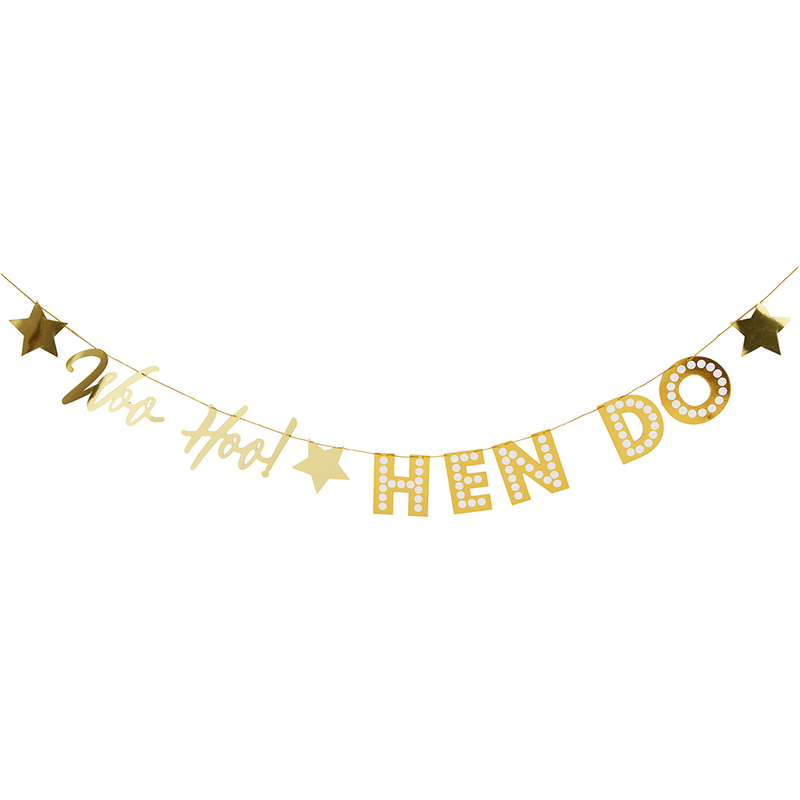 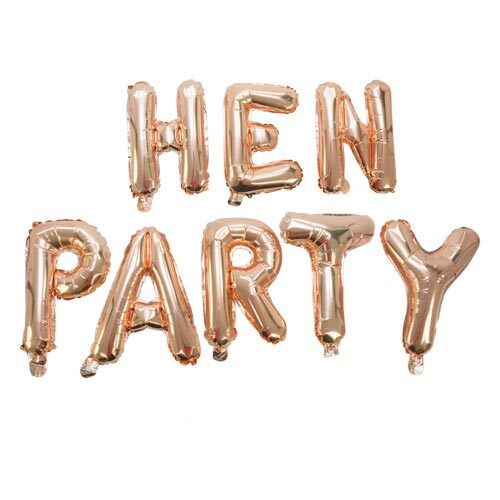 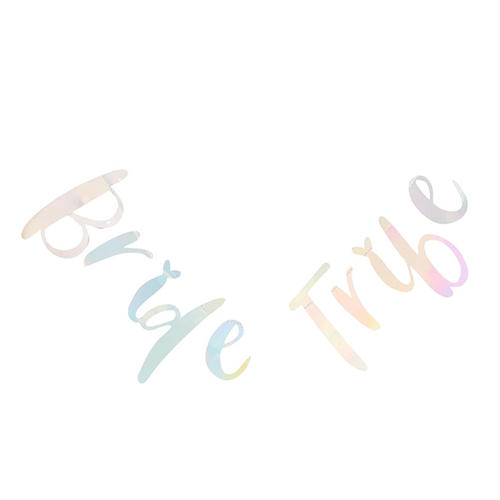 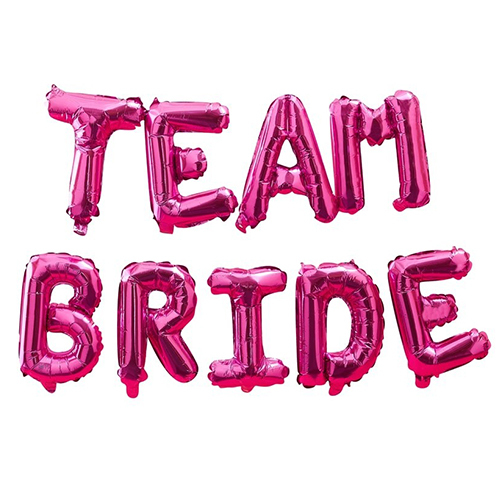 The second part of the banner is Hen Do written in block capitals with metallic gold writing with a white spotted design. 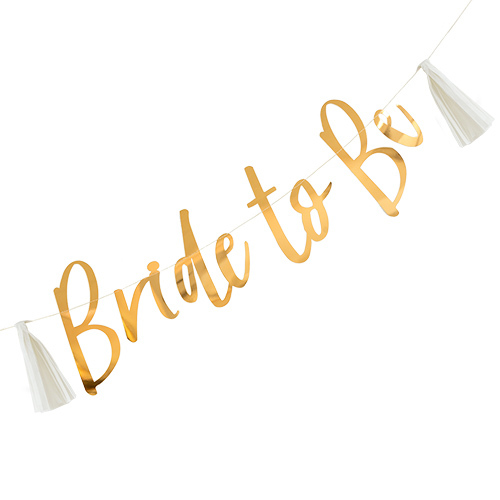 The pack includes around 2 meters of gold string which you can use to hang them up. 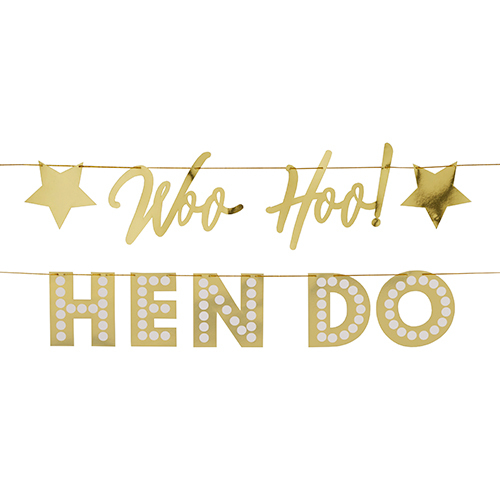 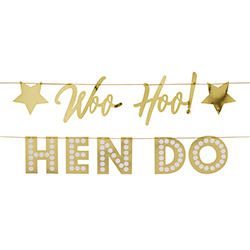 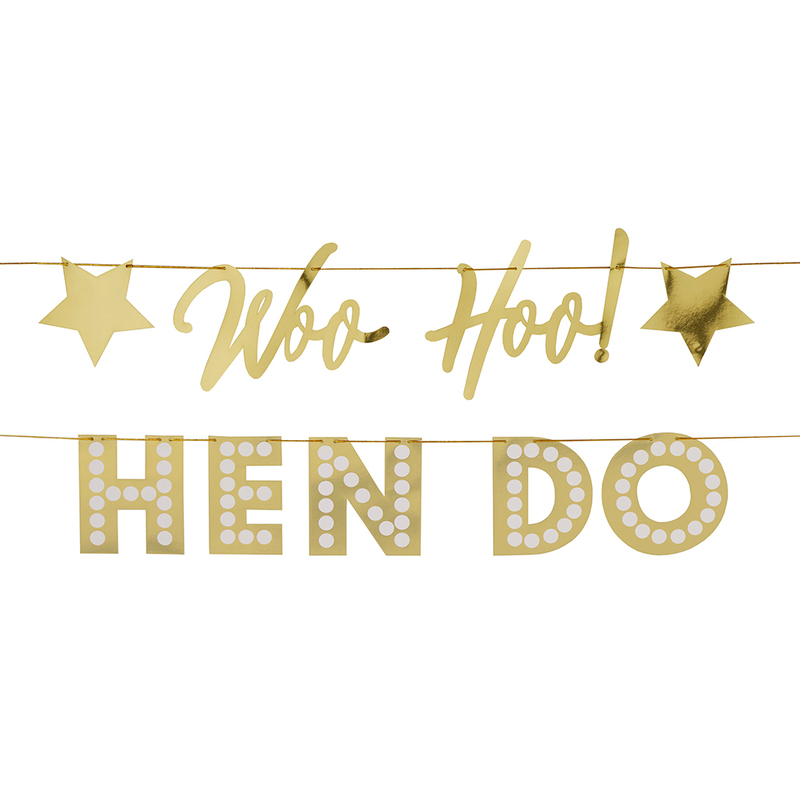 As part of the Woo Hoo Hen Do collection this bunting can be mixed with many other items from the set to make a really eye catching theme for the hen do.